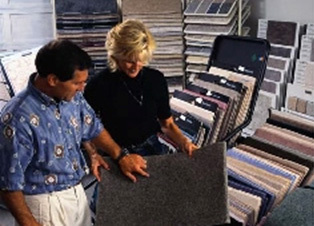 Shopping for carpeting can be daunting, especially if you don’t even know where to start. There are a lot of vendors and distributors out there who, unfortunately, won’t paint a full picture for you, but rather, will push their products on you. Luckily, you totally avoid that with Knox Carpets, your happiness is not our biggest priority, it’s our only priority. Cavalier Bremworth: Cavalier Bremworth has been in the business of creating the highest quality wool carpet for more than 50 years. They use sustainable New Zealand wool and have one of the largest ranges of broadloom residential and commercial carpets currently on the market. They offer carpets to suit every aesthetic style and every functional purpose, anything from the high-end residential to large quantities for hospitality and office environments. Every carpet style in the line carries one the ACCS’s high environmental grading. Beaulieu Australia: Beaulieu Australia first began their operations as Sterling Carpet Mills based in Queensland in 1973. In 1995, U.S manufacturer, Beaulieu of America, purchased them after they realized a need for a manufacturing presence in Australia. Beaulieu cemented their role as a leading carpet manufacturer in 2000, when they purchased Vogue Carpet Mills as well. Beaulieu has formed strategic alliances with some of the world’s leading fiber and carpet supplying backers, focusing heavily on sustainable practices and innovative products. Feltex Carpets: Feltrex Carpets began its manufacturing operations in New Zealand back in the 1920s. The company later acquired by Australian and New Zealand carpet manufacturer Godfrey Hirst Carpets in 2006. They have production plants in Victoria, Australia and New Zealand as well and export their products around the world. They have an extensive range of products that are well-recognized in Australia and New Zealand. These include: Feltex, Feltex Classic, Redbook, Redbook total, Redbook green and Feltex green. They also have specific commercial ranges that include brands like: include Feltex Commercial, Feltex Woven Axminster, Feltex tile, Feltex tile by Design and Tascot. Airlay International Carpets: Airlay International focuses on the latest designs, on current trends, vibrant colors and environmentally conscious practices to ensure the highest quality is brought to their customers. They offer carpet products for Corporate & Office, Education, Health & Aged Care, Government, Retail and Hospitality. They offer custom design and coloring services so that your product is truly one-of-a-kind. They even have an exclusive partnership with Balsan, the leading French broadloom and carpet tile manufacturer. Karndean Design Flooring: Kardean Design Flooring is an international global interior company. They supply luxury vinyl flooring. They’re inspired by nature in the world around them, creating functional, yet stylish looks. Each look has a variety of customizable features, so that the ultimate look will be yours and yours alone. That should give you a taste of the different product lines that we have available. Questions? As always, reach out to any of the Knox Carpets team members. You know that we’ll be happy to help!